Licensed College Jewelry!! 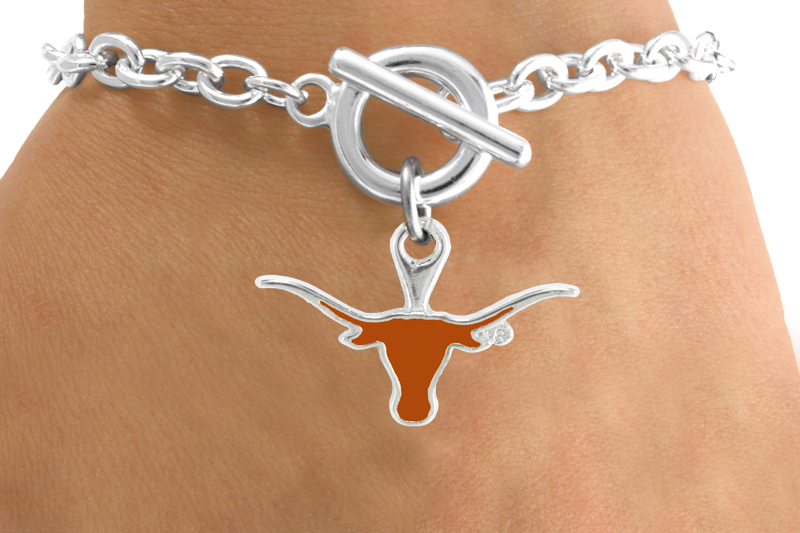 Lead & Nickel Free Sterling Silver Plated Toggle Bracelet Suspends An Orange University Of Texas UT Longhorns Mascot. 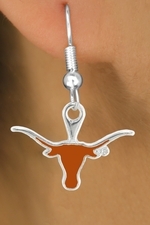 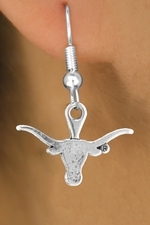 Scroll Down For More University Of Texas "UT Longhorns" Items: W12838N, W12839E, W12840B, W12841N, & W12842E!